An entertaining, informative, and educational monthly talk show hosted by Associate Professor of Child Development/Early Childhood, Amy Mintz, Ph.D. Showcasing current events from the campus, Del Mar NOW includes topics on education, community relations and public service information. The show will focus on what's current at Del Mar College and is committed to being informative, educational, and engaging. 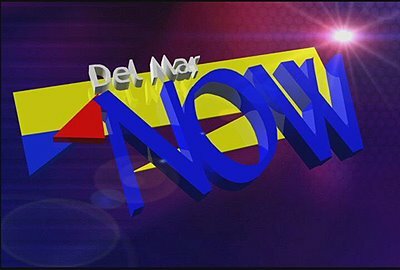 Del Mar NOW airs the first Thursday of each month and repeats every Thursday, Friday and Saturday thereafter at 6:30 PM on Digital channel 1301 on Spectrum Cable, Channel 19 on Grande Cable, and under Channel 99 with AT&T U-versein Corpus Christi, TX. Every show includes a Newscast presented by students from the Del Mar College Radio and Television Program. Page last updated May 15, 2018.